Last night, I stepped out of my comfort zone and took part in a 12 hour worship burn…where we offered God praise and worship for 12 hours straight. Six teams, 2 hours each. As a vocalist, usually two hours is a good maximum for keeping your voice strong without too much strain. I had the beginnings of a cold when I woke up on Friday morning. And was signed up to sing for 2 two hour time slots, 2 hours apart, in the wee hours of the morning (1-3 am) and when I am usually getting up (5-7 am). So I didn’t, and I prepared for two sets. From the time I arrived, I stayed away from caffeine and sweets, drank about 8-10 glasses of water, rested my voice way more than I usually would, and only had the two things to help keep my throat moist besides water, shot glasses of pineapple juice and a few potato chips (the chips are apparently Amy Grant’s go to before a performance too). And more than all that, I had to depend on Him in a way I normally never ask for help in. An early riser, I am usually down for the count by 10 pm. Last night, I didn’t get any sleep, nor did I sense God wanted me to. I had a strong reassurance I would be able to make it through without sleep, and without losing my voice or incurring too much strain. Since I am also singing Sunday morning, this was quite a bit outside my comfort zone. I chose to trust He had me in His grip, and would get me through. I stepped out, and God stepped up to meet me there. I am still stunned with the wonder that I have now been up for 29 hours straight, and do not feel as exhausted as I would have expected. God took me in His strength beyond what I am capable of in my own strength, and then beyond even more! When we step out and trust He is more than enough for all we will encounter and endure, our trust is not placed in vain. If the Maker of the universe made me, He knows what I am capable of, both on my own and with His empowerment. I can place myself with confidence in His care. 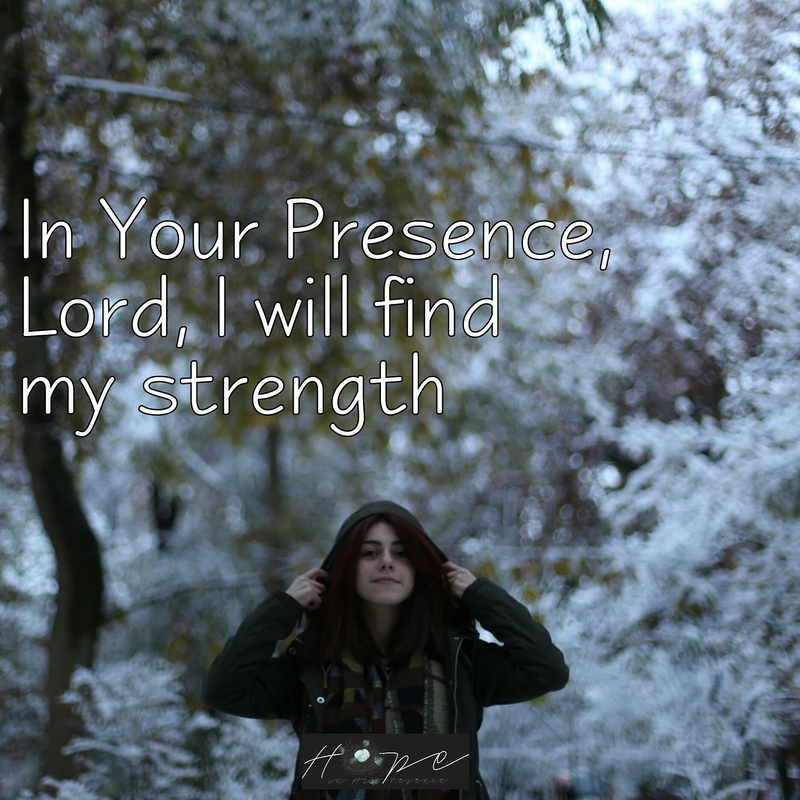 When I expectantly come close into His Presence, He never fails to meet me in each instance. I am able to do far more than I realize when God holds me together and strengthens me. His acute awareness of how much I need Him!